The Detroit Symphony Orchestra is “an inclusive and culturally relevant community where all people can experience their world through music.” Its young professional, volunteer leadership Committee NextGen hosted its second annual signature event: Mysterium. The concept for Mysterium was inspired by the late Russian composer Scriabin’s quest to create an experience for the audience that engages all five senses to create a state of enlightenment. The challenge was to promote the event digitally among young and diverse professionals, and engage the audience on-site by incorporating multisensory elements. Blended Collective was tasked to develop creative marketing initiatives, and create an on-site experience to engage a young and diverse audience. 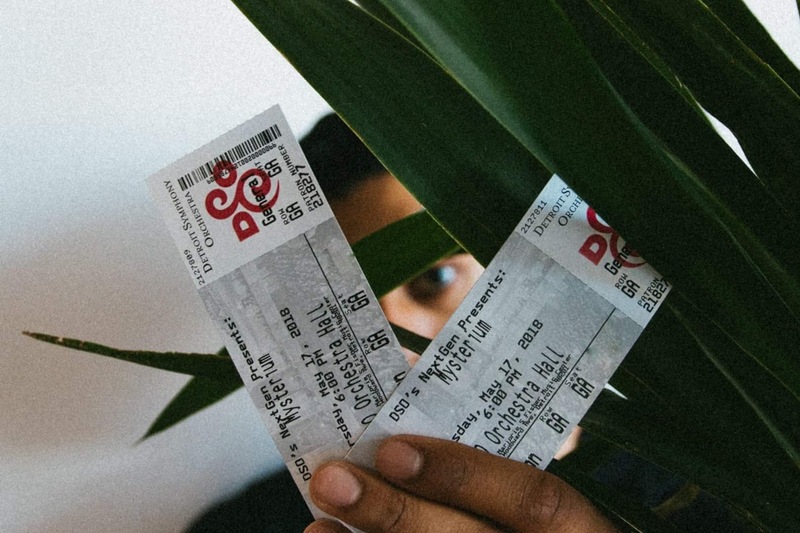 For pre-event digital marketing, we partnered with two local influencers with a combined digital following of 40,000 and offered a ticket giveaway digitally. This content was recommended to be repurposed for e-blast marketing campaigns at the DSO, reaching an audience of 35,000. Blended Collective introduced the event hashtag #DSONextGen to begin building the NextGen brand online. For offline efforts, we developed a three-step Blended Collective social media brand activation, co-branded with Blo Blow Dry Bar in Detroit who hosted a hair and make-up touch up station. With both influencers present at the event, we were able to connect offline and online efforts successfully. Digital engagement resulted in over 1,000 likes and comments combined, resulting in brand awareness among a young and diverse audience. The on-site brand activation offered interaction between the digital influencers, audience and brands, engaging the sense faculties of sight and touch. Overall, these efforts resulted in increased exposure for the NextGen brand and its membership program to an audience of over 75,000.